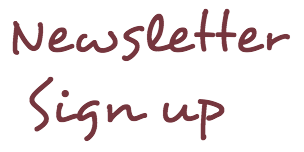 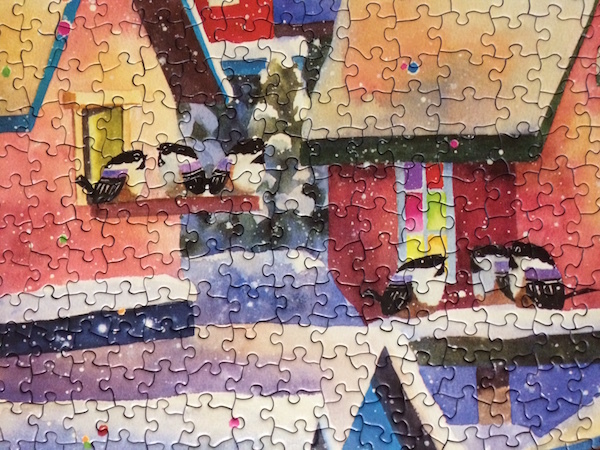 The border was completed at the beginning this time due to the puzzle shapes being in a ribbon/grid pattern. 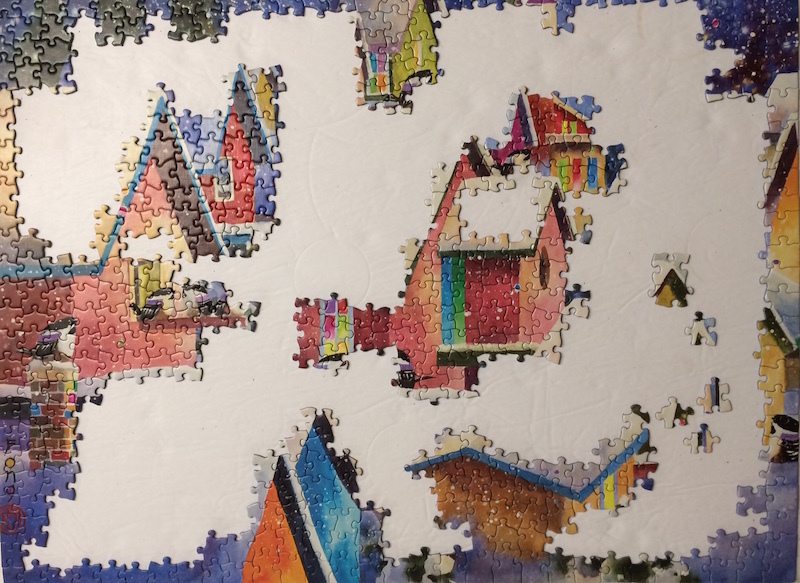 It went together fairly quickly. 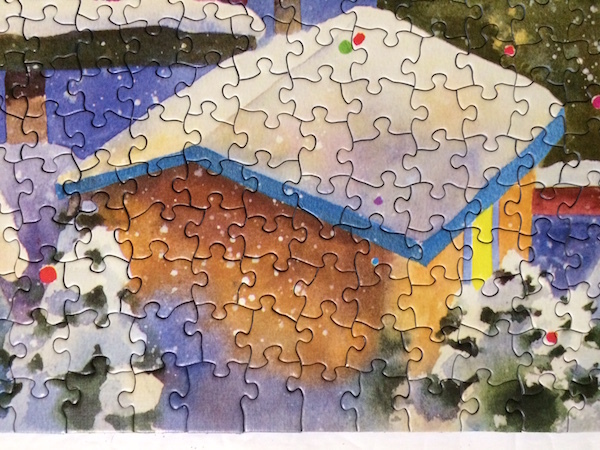 The Standout Falling Stars jigsaw puzzle has ribbon/grid cut pieces so border assembly did not take long. 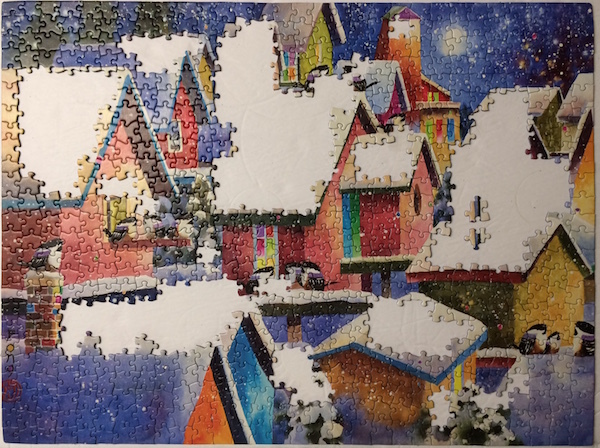 I wasn't exactly sure how I was going approach this one so thought I would just put as many pieces of one color together first and that would determine my starting point. 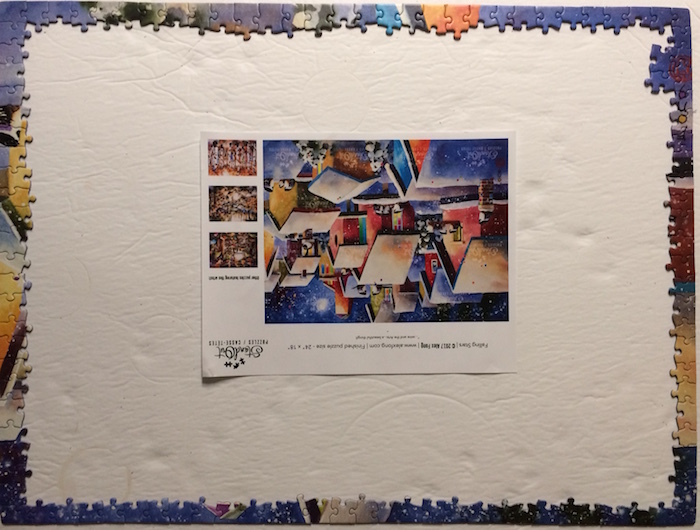 I chose the blues first but I also had several little group sections built on the side foam board where the pieces lay out. 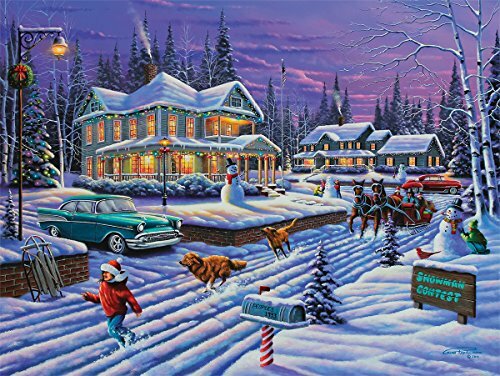 The darkish reds, yellows and greens seem to be the next most outstanding which left mostly the shades of white snow on the rooftops. 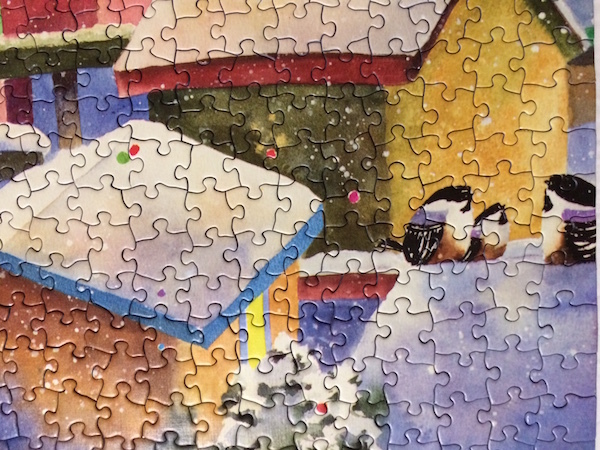 All through the process, the little birds became implanted onto the rooftops. 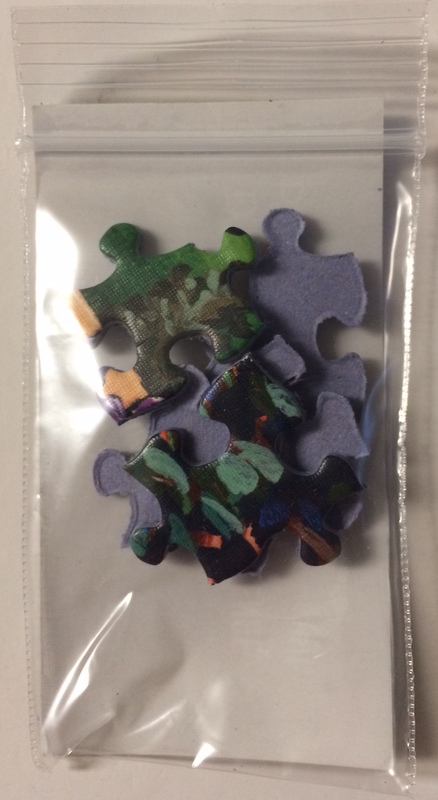 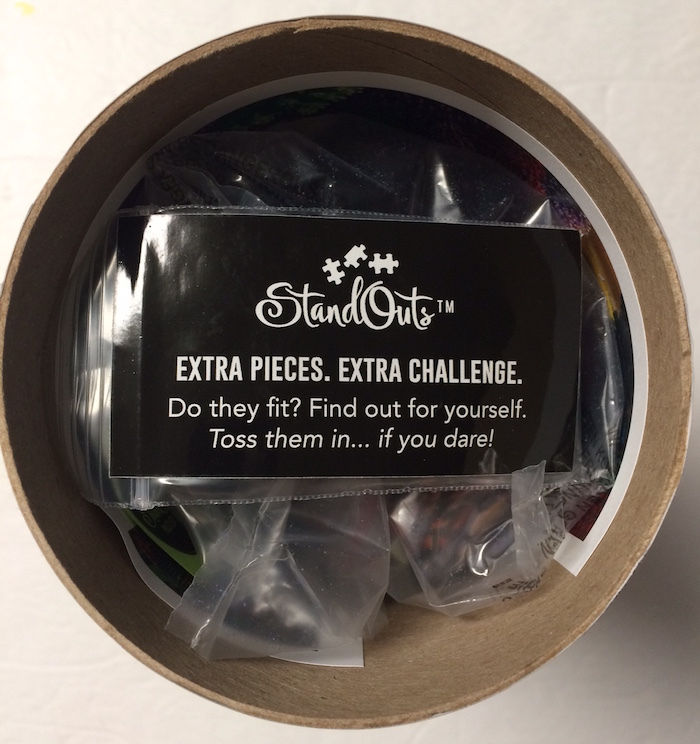 As part of their marketing feature, Standout includes (in a separate little bag) 5 extra pieces to mix within the pieces. 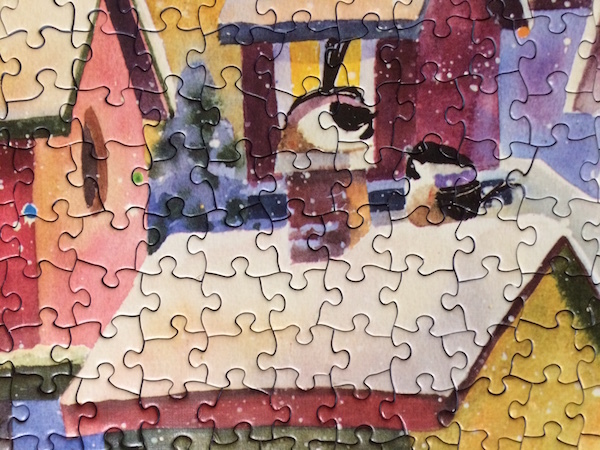 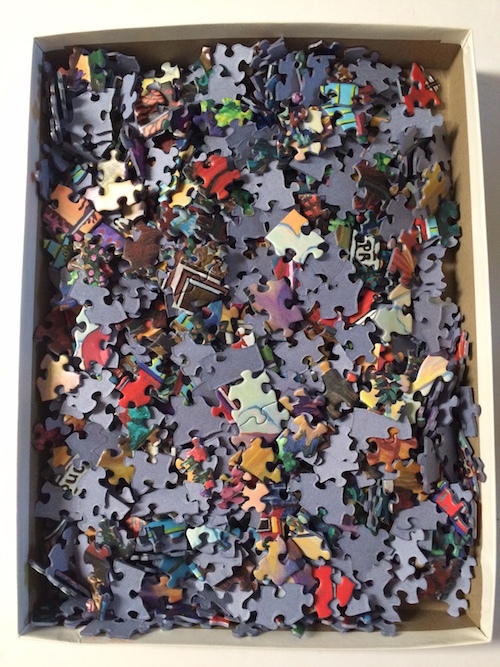 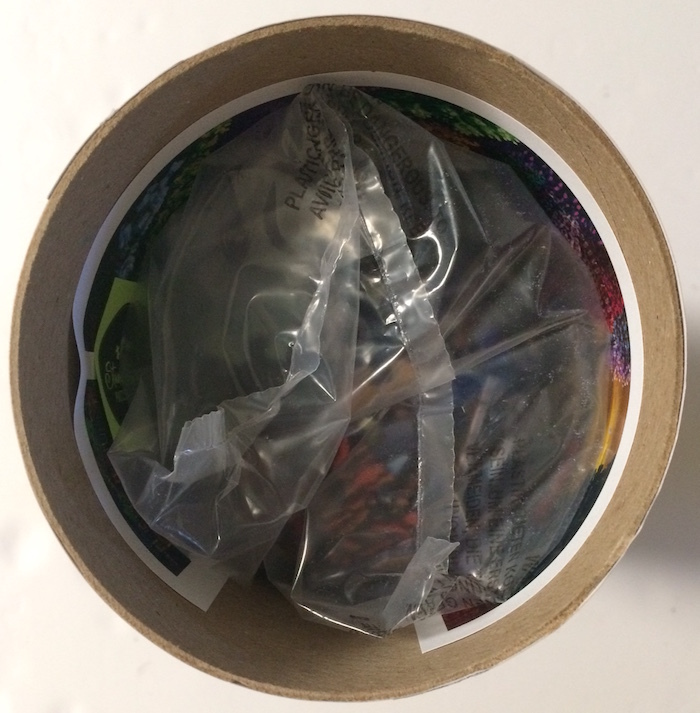 I transferred the pieces from the container into an empty bottom puzzle box for sorting convenience. 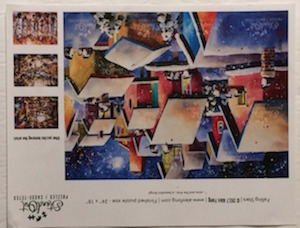 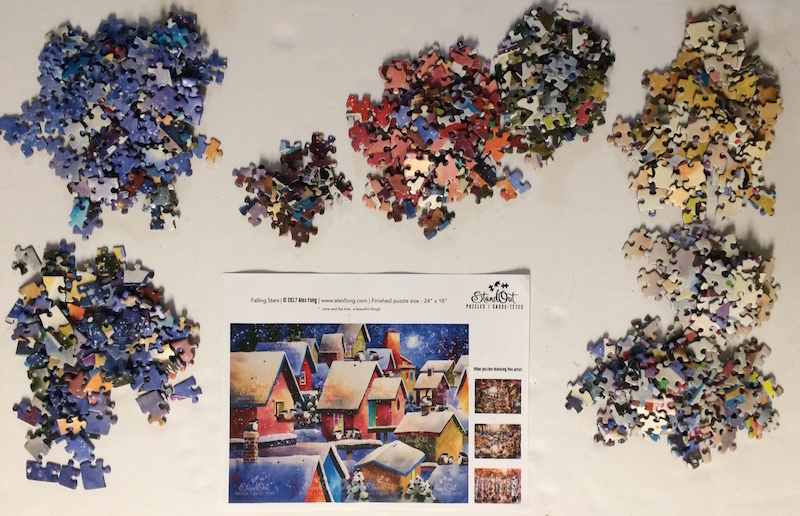 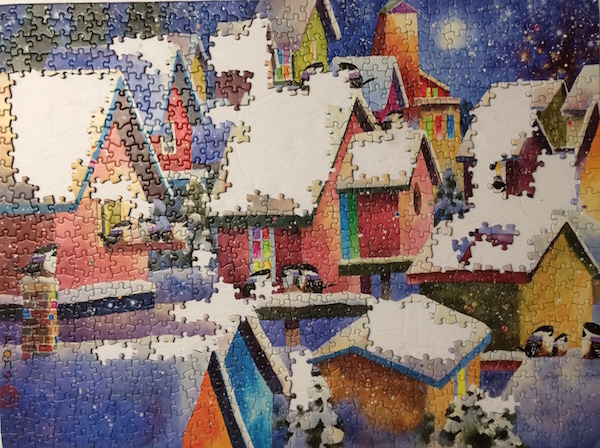 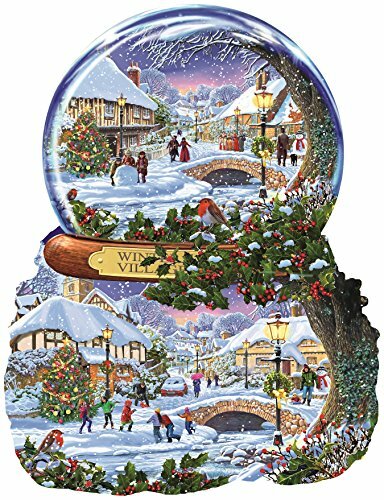 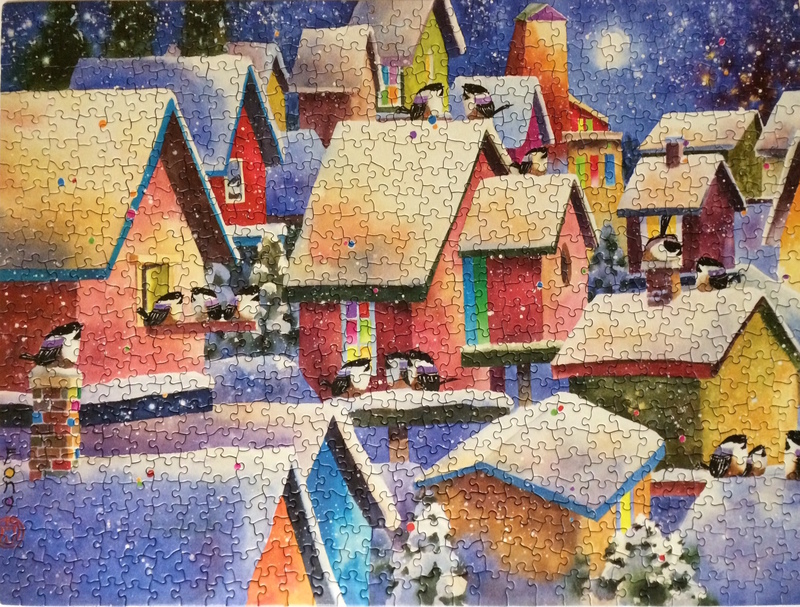 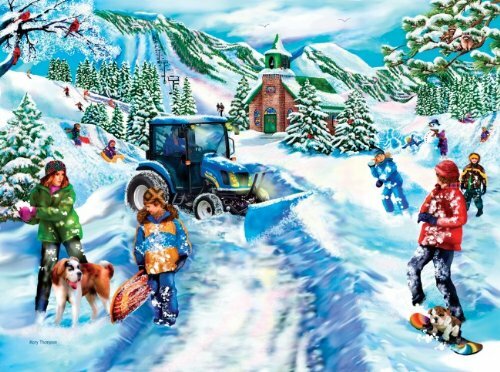 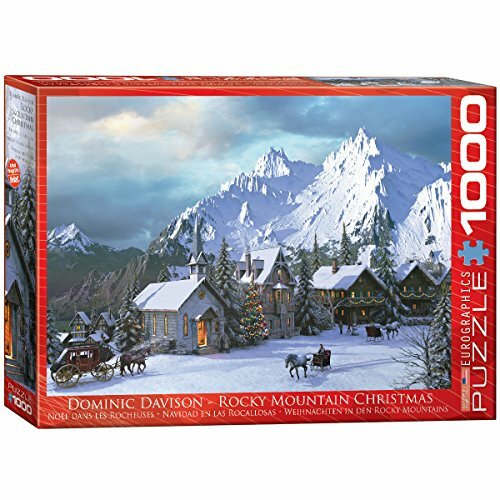 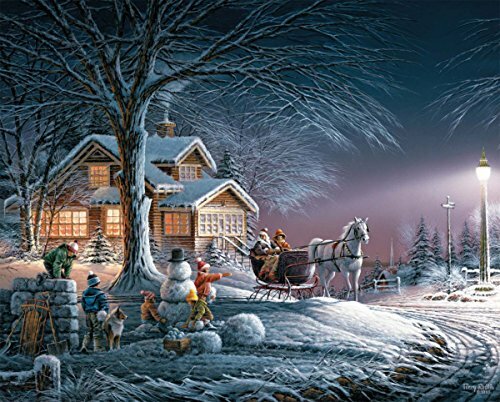 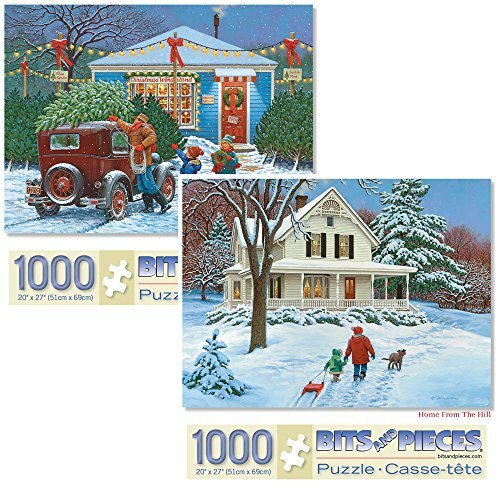 To buy the Standout Falling Stars jigsaw puzzle or to see more from this company please CLICK HERE as I highly recommend them! 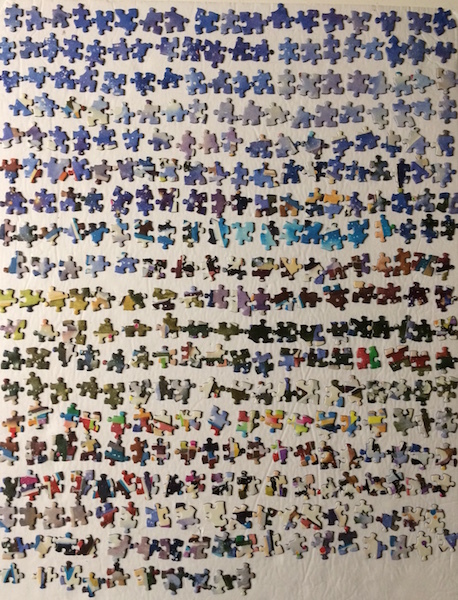 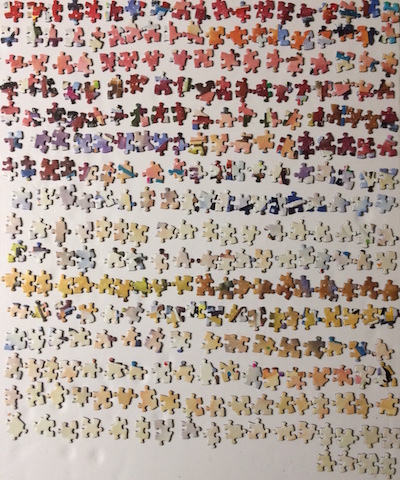 Take a closer look at these following images for some good details and quality of their puzzles.